Something was bothering me about yesterday's post. When I got into the shop this morning I took another look. The man in the upper right looked very familiar. Too familiar. I had to ask my mom. Sure enough, that's my grandfather. Right next to my grandmother. And my aunt. And great aunt. And great-grandfather with my great-grandmother. The boy getting his first Communion? 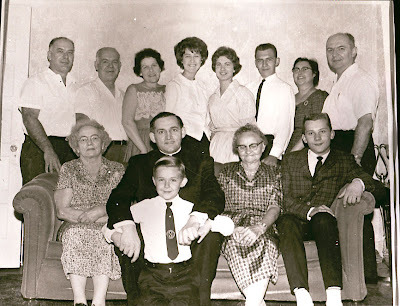 We don't have a lot of older family photos, so I haven't seen these people from this era. What a fantastic find... I wonder how the negative ended up in that book... who's book was it? How did it eventually end up in my sorting pile? That is just amazing!!!!! What a find! wow, that's amazing to come across a forgotten book mark that is "related" to you so closely! Did you have this book at random, or do you think it's one that came from within the family? Oh, that's just amazing. So many possible stories in your question. Silva - I had it on my shelf for at least a year, it's a first edition but needs some repair work. I'm not sure where I originally found it, but I have to assume it came from somewhere in my family. That's awesome! How wonderful that you ended up finding the old photo. What a wonderful find! I'm glad something bothered you about the post and you thought to ask. An unknown family photo found in a used book. There's a novel in there somewhere. That is amazing, I love that you found that. Now you will have to search that book more. I love old family photos!!! Whoa, what an amazing coincidence!! Stranger than fiction. Just incredible. I was tempted to ask you yesterday if anyone had ever recognized the forgotten bookmarks from postings on your site. This is beyond weird. Mistress - it's funny, I came across a photo last week, and I could have sworn it was my first girlfriend... however, the face was obscured by a bottle in the picture, so I may never know. WOW. It made it's way back to you for a reason, I think. Very, very cool. That is incredible. What a find!!! What a coinkidink! That is too cool. That is so crazy! Super cool you now have a picture of your dad as a kid, those are always fun to have around. Wow....that's amazing. Something tells me that book is a keeper. What an amazing find. a one in million chance. It's like a message in a bottle. Some years ago, I was browsing in a used bookstore in a small town in central Texas. A collection of old postcards caught my eye. The first one I looked at, randomly in the middle of the box, had a picture of my great grandfather's clothing store (in another very small town a couple hundred miles away). The message on the back told about how the store had been burglarized the previous day, big news for such a small town. 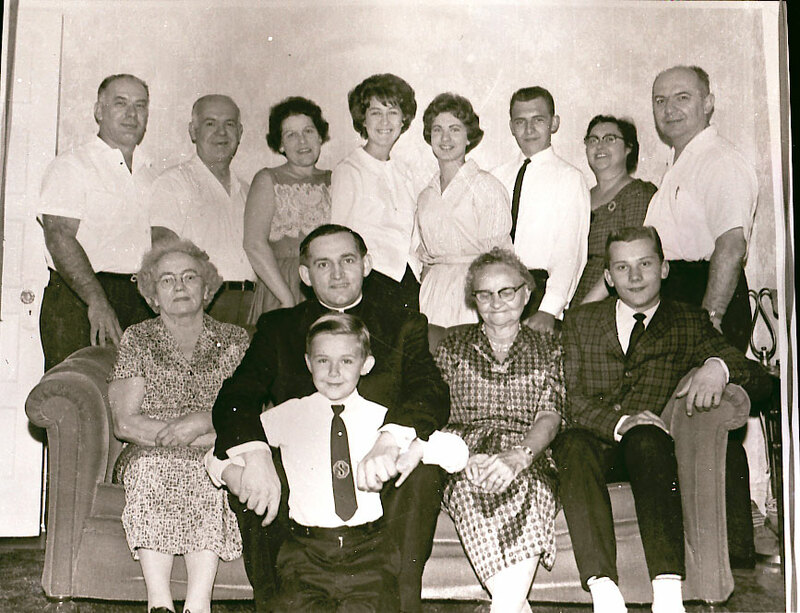 There is a genealogist who specializes in reuniting lost photos and other documents with their families. Have you ever seen somebody lick the chutney spoon in an Indian Restaurant and put it back? This would never have happened under the Tories.